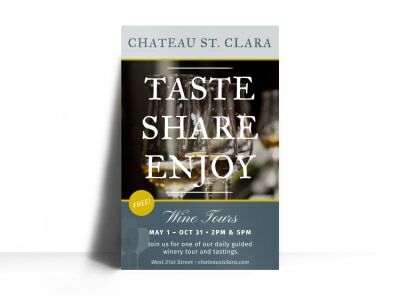 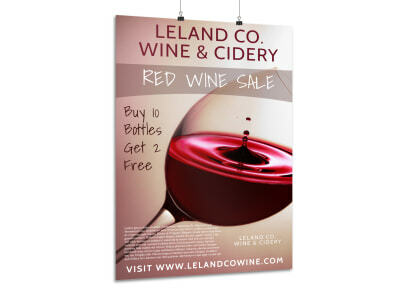 Customize our Classic Wine Tasting Poster Template and more! 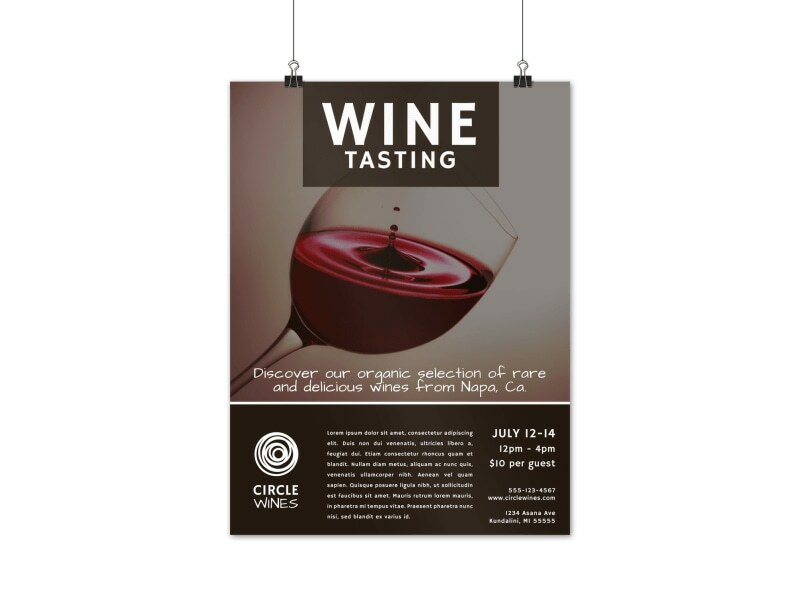 Give them something to whine about with the details of your wine tasting event splashed across this handsome poster. 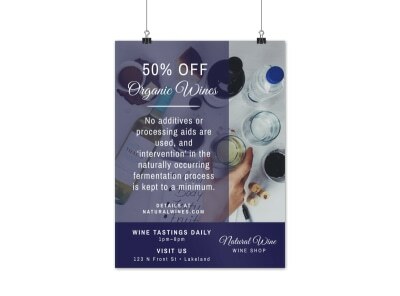 Make your poster professional in appearance by customizing the color theme, font style, and other design elements, as well as adding your own images and text enticing wine connoisseurs to partake in the upcoming wine tasting event.